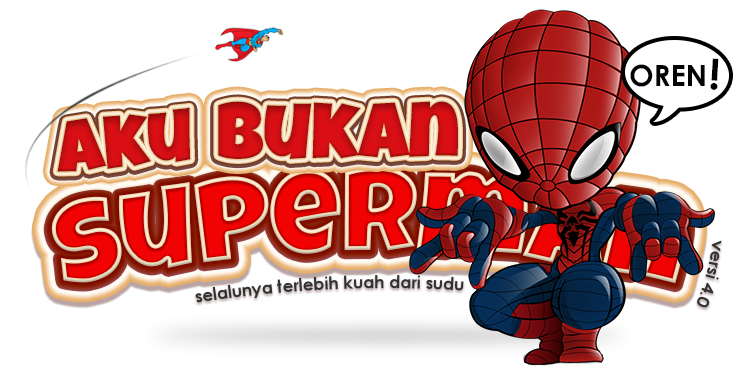 AKUBUKANSUPERMAN: Can you spot the not? It’s been a while eih? Yeah I think so too. Anyway I ran the city the other day through KL Rate Race and boy I’ve never felt so good about myself. I’ve completed the 4.5 km run and survived to tell you this story. I am not a runner you see, although I consider myself as a person who always runs away from problems. I am indeed very good at it. And so I went to the clinic and started to narrate my bad day to the poor doctor. On how I ran across KL, went through some rapid volcanic flames, fought with feisty dragons and then jumped some extreme cliffs, got my kaki aches and eventually caught fever after that. She nodded and prescribed me some meds. And so today I have to fill in an EMERGENCY LEAVE form instead of a MEDICAL LEAVE form. Here is the form. But something is terribly wrong with the form. 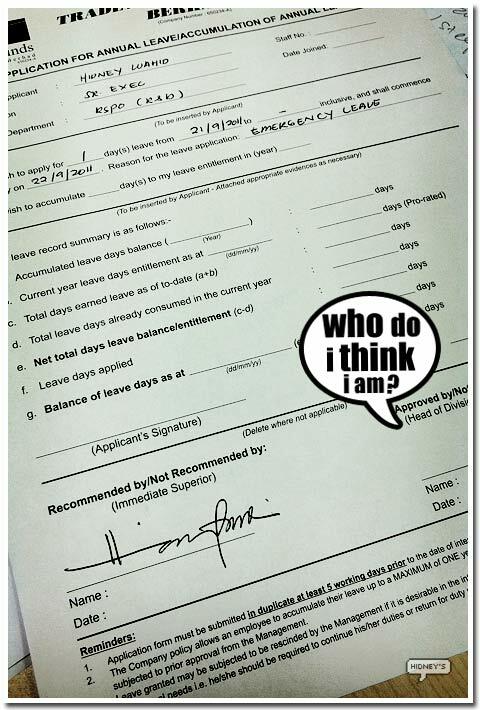 ko sain kat ruangan 'Immediate Superior', instead of Applicant's Signature??? Ha..tulah tu yg aku tertanya2 nape ko gi sain kat immediate supervisor. kaka..
p/s: Komen paling pendek abad ni dari I. Eh.